A few notes on this audio file. My recommendation is to let the file load for about a minute or so and then start playing it from the beginning. The file will likely play uninterrupted thereafter. 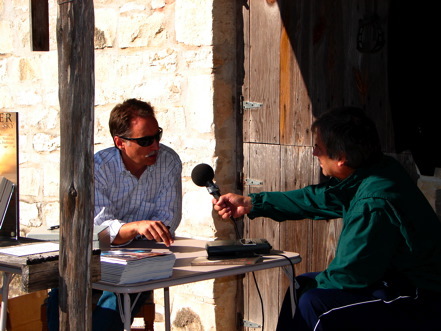 October 8, 2005, KBEY 92.5 FM (Burnet, Texas). Recorded interview later broadcast on air.